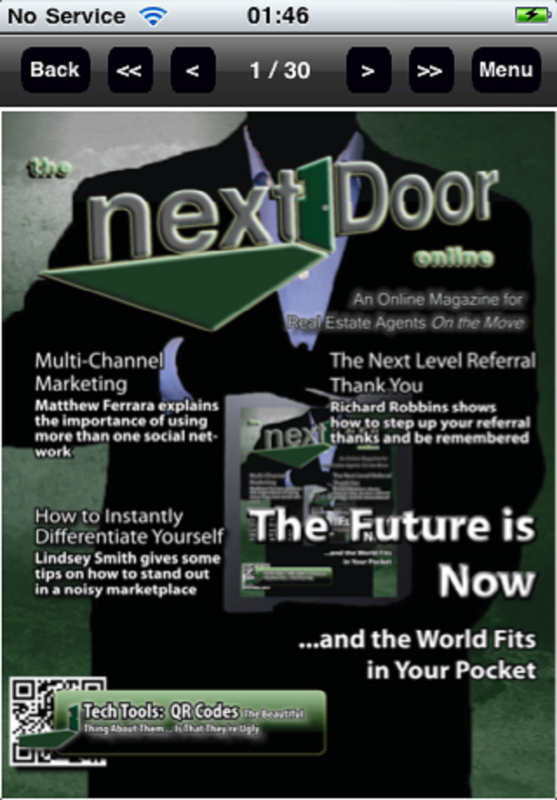 The Next Door Online brings the Real Estate Industry’s top coaches, trainers and related professionals directly to you every month! Receive tips and insights from some of the best in the profession to help you develop your day to day real estate business practices. 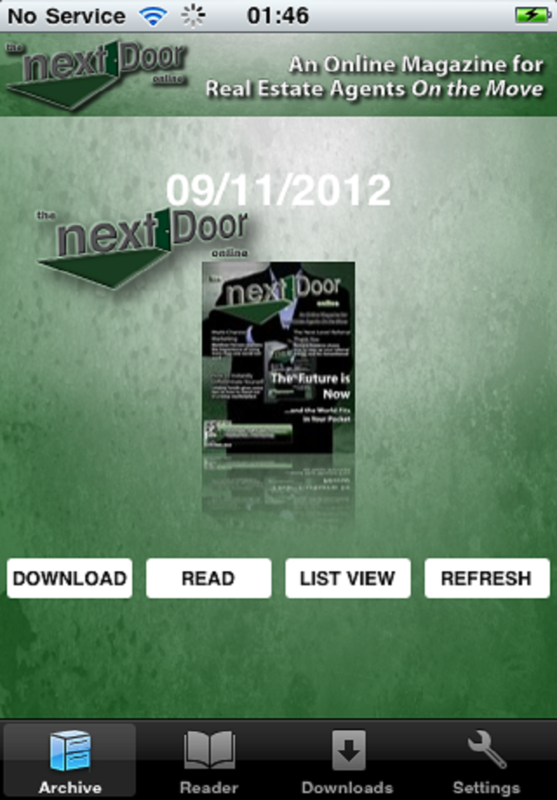 Subscribe to The Next Door Online today and get the magazine delivered directly to your device each month, published in a high quality, high-tech touch screen experience that allows you to swipe through the publication. Now with Newsstand functionality! 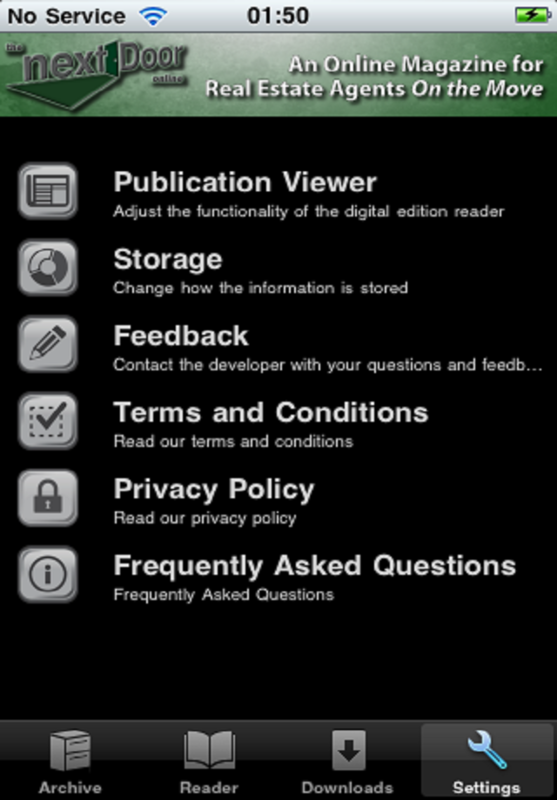 Subscribers with iOS5 or higher will have all new editions pushed directly to your device through Newsstand. FREE Audio Articles! Many articles have been produced into audio formats, allowing you to download for offline listening or listen to the article via streaming audio (Wifi connection recommended for larger data files). 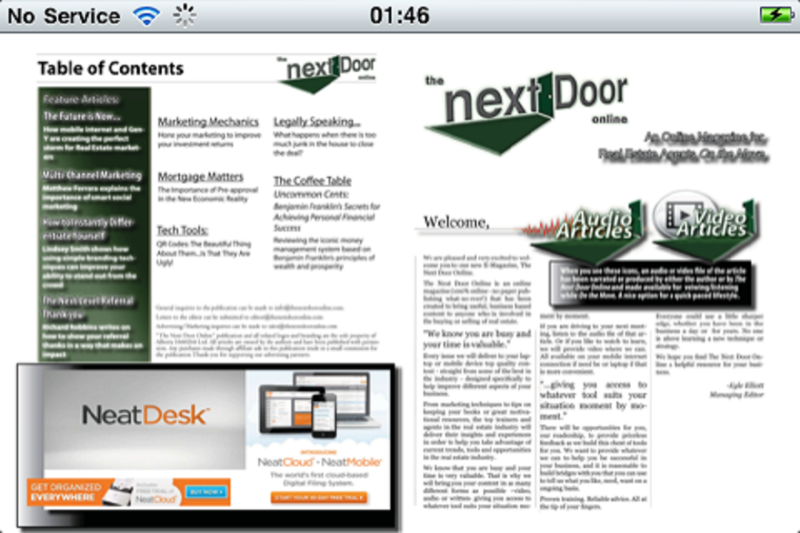 Flip your device to read the magazine as a double spread or full screen single page. Tap the page selector to choose a specific page to fast-navigate to. The Next Door Online app features search functionality to find key-words relating to recent content, a zoom function to enable clearer reading of selected articles and social networking integration to keep your peers and social circles up to date on the latest shared news from our authors and experts. Purchase a One year subscription and save! Prices for the subscriptions are $4.99 for one month (1 issue) and $49.99 for one year (12 issues). The monthly and yearly subscriptions are auto-renewing. Payment for this subscription will be charged to your iTunes account upon purchase. The subscription will renew within 24 hours of the current subscription expiring. Auto-renewing subscriptions can be managed via the Account Settings allowing them to be turned off. No cancellations of the current subscription are allowed during the active subscription period.